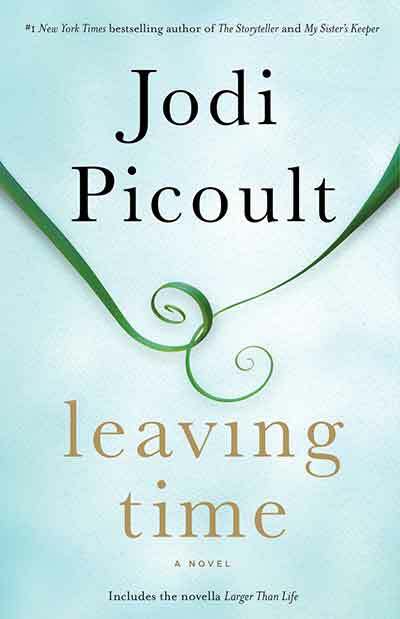 Jodi Picoult is at it again with last year’s best selling book Leaving Time: A Novel. It’s a good option if you’re waiting for her next book, Living Color, to be released this coming November. Leaving Time is about Jenna Metcalf, who’s elephant researcher mother disappeared one night under mysterious circumstances. Jenna remembers nothing about what happened that night. Even though she was there, she was just a toddler at the time. Now 13 she’s pursuing the truth with the help of several allies.This book focuses on mother-daughter relationships. If you’d like to know more about the motivation and personal experiences that helped form this book, check out this Picoult’s interview with the National Geographic Editor-at-Large. If you’d like to watch elephants live in the wilds in Tennessee, take a look at the Elecam at the U.S. elephant sanctuary website. They’ve also archived some highlights on YouTube for your viewing pleasure. Thank you. This entry was posted in around the library, summer reading and tagged elephants, Jodi Picoult, Leaving Time, summer reading. Bookmark the permalink.